The Model 870™ Express® Slug by Remington is a dream come true for those who like to hunt deer with a shotgun. Rarely to you see a proper platform on a shotgun to mount a scope, but the Remington Model 870™ Express® Slug offers just that with the built on solid scope mount platform, that helps prevent you from jarring loose the zero'd in scope settings. This gun is available in both a 12ga and a 20ga, and both have significantly thicker "slug barrels" that help reduce the recoil from larger brassed shotgun shells like slugs. No one wants to kill a deer only to get knocked out of his tree stand from the recoil. lol. So all in all this gun looks really nice and is built well (its a Remington), it could be a great youth gun at 20ga as well. 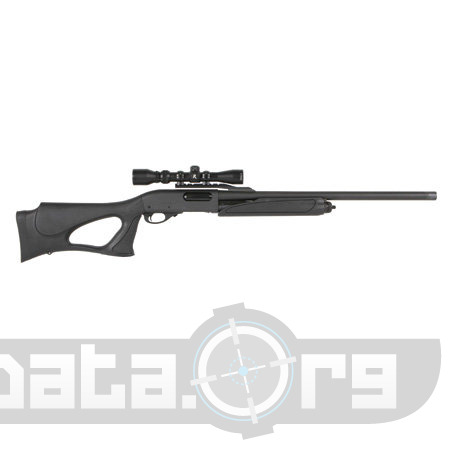 At mid $500's this gun is also about half the price of most deer rifles. Just a thought.